Thinking of a Castle Wedding for your special day? Thinking of a Castle Wedding for your special day?? What a romantic setting and visionary delight Wadhurst Castle is! I have never felt more like a princess than pulling up at the Castle Grounds and walking through this beautiful venue – even on a misty, freezing cold January day the warmth throughout this delightful building was enough to make you stop shivering. 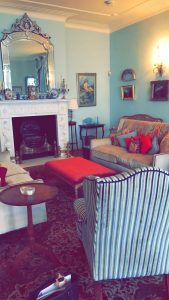 Our favourite days out with Anise Catering are normally our site visits, and this was no exception – the drawing room comes first as you enter through the hallway – filled with antiques that tell so many stories. 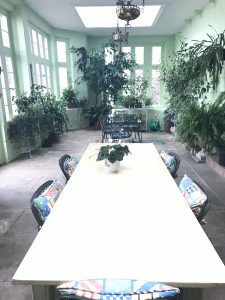 90 Guests can be seated comfortably in here and the Dining room, or feel free to book the Walled Garden for that extra bit of magic! Catering at the castle is a real privilege and together with the team at Wadhurst we would love the opportunity to make your dream wedding a reality – Marquee weddings are popular here in the summer months and whether your vision involves a BBQ/Hog Roast or a grand 4/5 Course Wedding Breakfast it can be accommodated here. 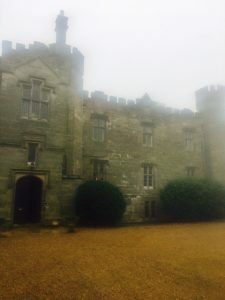 To hear more about Anise Catering Ltd and our work with Wadhurst Castle give us a call today.